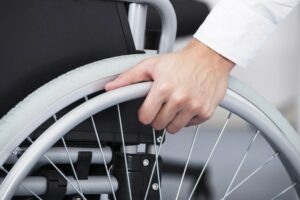 Anyone who sufferers from limited mobility problems will already understand how difficult and frustrating it can be moving between floors in their home. This simple action can become near impossibly for some people and it can severely affect how independent and comfortable they feel in their own surroundings. 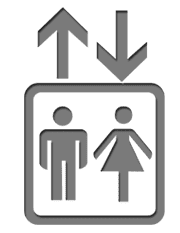 When mobility between floors becomes too difficult, there are generally two choices that people have to choose between- stairlifts and domestic lifts. Both are incredibly helpful aids for less mobile individuals, but which is the best one for you? Is a Stairlift More Suitable? Stairlifts are an incredibly popular installation in situations where an individual is finding it difficult to move around their own home. These ultra compact seats are easy to install in the home and can be installed on almost any staircase. However, one of the main issues that having a stairlift is that it can be difficult to transfer from a wheelchair to the seat safely, which is a huge concern for families if their relative lives alone. No one wants to be worrying over their family or friends even more than they have to, especially if they have an existing mobility issues. You may think that it’s strange to install an access lift in your home, and that only extravagantly rich people can afford them. Years ago, this may have been the case- but no longer! Installing a lift into a building is unbelievably easy and provides a safe platform for transition between floors in your home while remaining stylish! They are also more cost effective for buildings which have more than two floors, and make it possible for wheelchair users to ascend and descend without having to transfer themselves from the safety of their wheelchair like they would using a stairlift. In the end, it is all up to personal preference. Stairlifts are a great addition to many homes, but they do carry risks when attempting to use them. 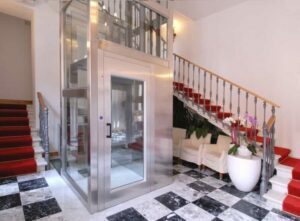 If you are looking to future-proof your home and ensure that you will always have a way to transition between floors, no matter how mobile you are, then lifts are the way to go. Not only are they easier to use for individuals with extensive mobility issues, they can be designed to perfectly integrate with the interior (or exterior) of your home. This is where our experts here at Axess2 excel. As specialists in domestic and commercial lifts, we should be your first stop when it comes to looking for a mobility aid for your home. To discuss how we can help you, don’t hesitate to get in touch with us today by calling 01200 315 025 or visiting our Facebook, Twitter and Google+ pages! Be sure to head over to our YouTube page, too!